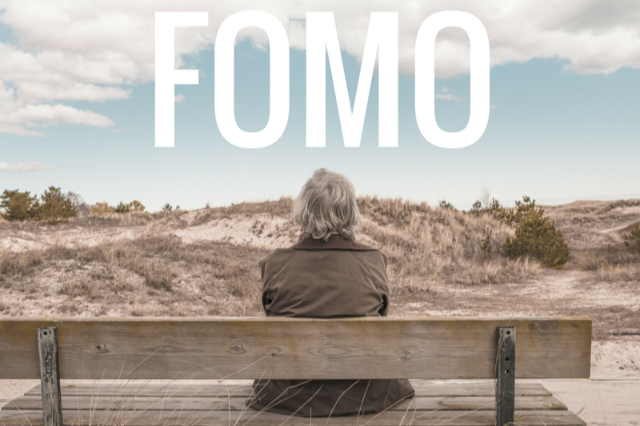 Technobind Blog | How to overcome the “fear of missing out” aka FOMO about cloud? How to overcome the “fear of missing out” aka FOMO about cloud? ﻿Security is not really the biggest fear around cloud computing any longer! I know you must be thinking, “That’s old news”. But do you know what the most common ‘cloud fear’ is? It’s actually the ‘fear of missing out’ or FOMO, as it has been adeptly acronymized! Cloud isn’t an option anymore, it’s an absolute necessity. So organizations are adopting it in one way or the other. In the process, many of those organizations have chosen a somewhat ad-hoc adoption or migration methodology, with results that leaves a lot to be desired. I think this is primarily because the developments in cloud are so fast and overwhelming, and suddenly your FOMO kicks in! A Commvault survey conducted last year confirms this. 81 percent of the IT leaders who took part in the survey were either extremely concerned or very concerned about missing out on cloud advancements. For starters, cloud deployments call for a carefully thought-through strategy and plan. Otherwise, your cloud migration journey is going to be quite bumpy. Despite the ambiguity, IT leaders continue to invest on cloud. I would say, only less than 5 percent of organizations will likely cut their cloud spending in the coming few months. Cloud services revenue in India, for instance, continues to grow, with key sectors increasing their spending. The average growth rate of this market is still around 40 percent, which is quite remarkable considering that cloud isn’t a recent phenomenon. Data storage has always been the easiest stepping stone to cloud, even for those organizations that are not very cloud-savvy. We have observed that many organizations get stuck at this point, and end up in significant amount of shadow IT. Because whether the IT brings it or not, the business does need cloud to make them more efficient! Data protection and backup is cited as the ‘most impactful cloud project on the business’ by more than 75 percent of IT leaders in the Commvault survey that I mentioned earlier. Cloud is a critical step in modernizing disaster recovery solutions and strategies; it’s increasingly being seen as a more flexible and faster option during times of service disruption/downtime. Other than the ‘FOMO’, security still remains a key concern for businesses moving to cloud, which is why a lot of our customers are considering secure authentication infrastructure to support a variety of cloud services. Reports show that only about 40 percent of the data stored in the cloud is secured with encryption and key management solutions. With the introduction of GDPR, we see an increased sense of adherence and awareness among companies towards data protection, which is a very positive development. There is also an increasing focus on implementing cloud access controls when transitioning to cloud hosting services such as Amazon, Box, DropBox and others. Partners have always had mixed feelings towards cloud. Many saw it as a threat to their traditional IT solution selling. In a way, this is another type of FOMO—the fear of missing out on your comfort zone; the fear that cloud will eat into the business you have painstakingly built! But, it’s heartening to see how many of our partners have leveraged the cloud to their advantage, by helping hundreds of their customers have a smooth cloud migration journey. In fact, a lot of companies consider their SIs, consultants and channel partners as the trusted source of information about cloud developments. Rather, an effective way to overcome their FOMO! Taking this trust to the next level, many partners who were once anxious about the impact of cloud, have gone on to find new revenue streams around cloud migrations services. Developing cloud skills internally has always been a great challenge for a large number of organizations, especially the small and mid-sized companies. We are hopeful that our partners are equipped to fill this void and get on a cloud journey that is equally rewarding for them as well as their customers!